SEGUIN, Texas – This week the City of Seguin Economic Development program was honored for their work in bringing Niagara Bottling, Inc. to the city. 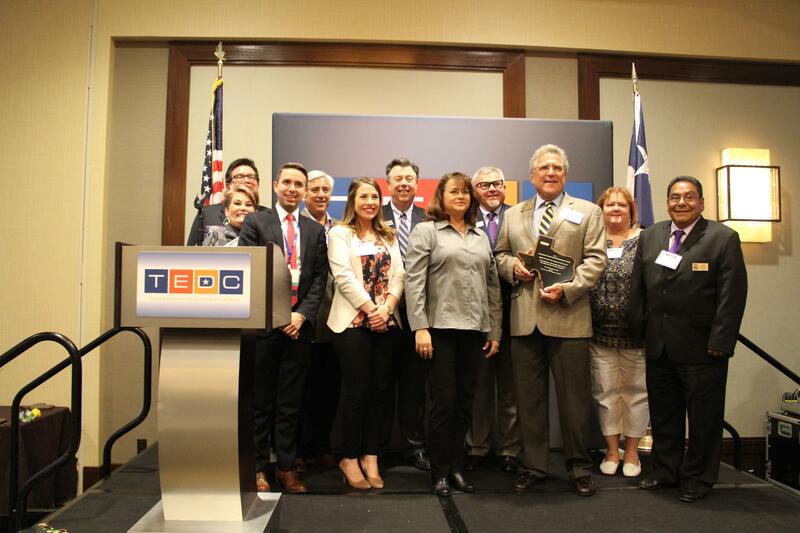 The Texas Economic Development Council (TEDC) selected us to receive a Community Economic Development Award during a special awards luncheon this week. "This project is a true depiction of how different organizations throughout the community, come together to make big things happen in Seguin. The SEDC would like to thank the Mayor and City Council, City of Seguin Staff, Guadalupe County Judge and Commissioners, Niagara Bottling and our SEDC board members for helping us celebrate this community-wide achievement," said Josh Schneuker, Director of Economic Development. Seguin and Terrell, Texas won awards for cities with populations of 15,001 – 40,000. Nominees were then judged on five criteria: innovativeness, transferability, community commitment and leverage, measured objectives, and secondary benefits. "When Niagara first approached us, they kept mentioning "community fit" as the main criteria for locating here. We took this to heart, and showed them every nook and cranny of Seguin. Obviously, they were impressed with us - our citizens, our community spirit, our skilled city staff, and the beauty and culture of Seguin. This award proves that the world outside Seguin is taking notice. Around the state, we are know as the "Seguin Miracle", and I am so very proud to be a part of it," said Mayor Don Keil.